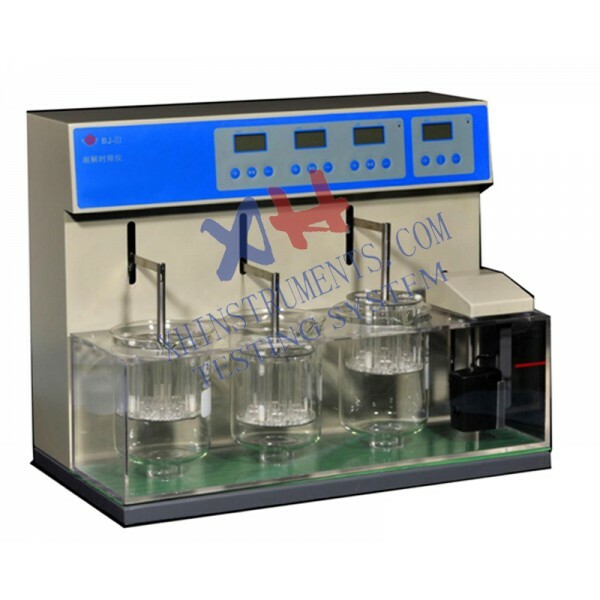 ﻿BJ series Tablet Disintegration Tester are used for detecting disintegration of solid in prescriptive conditions. There are eighteen tubes in three basket assembly. Each test station is driven independently. Auto stop at timing point. The bath liquid can achieve an even temperature. A MPU is used to automatically control the temperature, time and frequency of nacelle back and forth. Automatic control water bath temperature at 37C, also can preset temperature. Automatic control time at 15 minutes, also can preset time. temperature in water bath and basket, no need calibration can assure water bath temperature high precision. Timing at will. The preset and real time data can be displayed alternately in time.